While the states trade barbs about the locations and fairness of upcoming naval projects, the CEO of Australia's largest defence exporter, and one of the companies partnered with an Offshore Patrol Vessel tenderer, said there are benefits of the two locations playing host to the OPV project build. Defence Connect spoke with Austal CEO David Singleton who said that while it would be simpler to have the 12 vessels built in one location, the government's decision to begin construction in South Australia before moving the built Offshore Patrol Vessels to Western Australia is more beneficial to the Commonwealth in the long run. "It's quite clear that building all 12 vessels in one location would be significantly simpler than building two in one location and 10 in the other," began Singleton. "And the output of that is that when you build vessels you have what you call a learning curve, which I call it, you know, it's like the Ikea effect: you put one cabinet together and it takes you a certain amount of time. By the time you've put a third one together you're doing it in half the time. And shipbuilding is like that. If you've got one vessel after another after another, you find that there's an efficiency benefit that you get through the familiarity of the workforce, and that's a cost benefit. Now, of course, by building two in Adelaide, that reduces, it doesn't eliminate, but it reduces that cost benefit. "But having said that, that's an answer that is only looking at the vessel program itself, it's not looking about the shipbuilding enterprise." What it comes down to, according to Singleton, is helping manage Australia's so-called 'valley of death' of the naval shipbuilding industry, which is currently being experienced due to the wind down of the Air Warfare Destroyer project, with shadow minister for defence Richard Marles estimating at least 2,300 people from the industry have lost their jobs thus far. "When you look at the shipbuilding enterprise, without building two of these vessels in Adelaide, what would happen is that the workforce there would go down from 2,200 or something, down to nothing for a year and then have to be built back up to two and a half thousand," Singleton said. "Well, that's madness, particularly in the shipbuilding environment where experience and knowledge and familiarity is so important." And while West Australia's Minister for Defence Industry Paul Papalia has questioned the logic behind the government's decision to begin the project in SA, arguing it "doesn't make economic sense, it certainly doesn't make political sense", Singleton said the benefits will be seen once work commences on the $35 billion Future Frigate Program, a project that is due to commence construction in South Australia in 2020, which will see the OPV project officially moved to WA. "What building two [OPVs] in Adelaide does is it means the workforce comes down to probably a bottom number of three or four hundred, so you can maintain management experience and trades experience through that transition from a [Air Warfare] Destroyer program to [Future] Frigate," said the Austal CEO. "So when you look at that point of view it actually makes a lot of sense. We've done some calculations and our view is that the benefits outweigh the costs probably 10 to one." Austal's teaming partner for the $3 billion OPV project Fassmer also believes the government's decision, while not necessarily beneficial to the successful tenderer, will deliver the best result for Australia. "We understand pretty well the reasons why the Commonwealth has asked all three designers to consider the first two vessels be built in South Australia and they see why the rest of the vessels to be built in Western Australia," Fassmer's managing director Harald Fassmer told Defence Connect. "We understand the background, and, as David said, it makes a lot of sense for the Commonwealth, and we have just made sure that with our planning we will make sure that the whole construction, where the first two vessels are concerned or the rest of the vessels, will run smoothly." 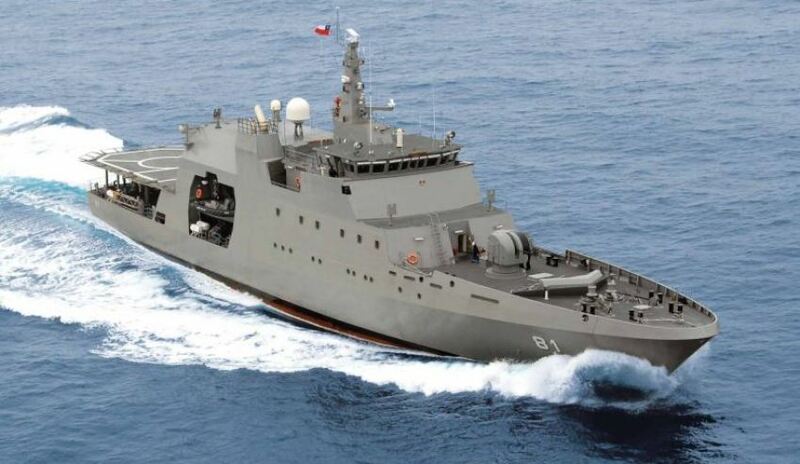 AustalFassmer is one of the three tenderers vying for the $3 billion OPV project. German company Lürssen and Dutch company Damen are also competing and have both partnered with ASC Shipbuilding for their bids.